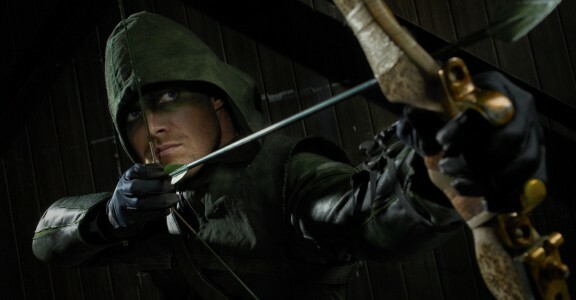 The CW has given a full season order to ‘Arrow’, the drama/action adventure series based on the comic book ‘Green Arrow’. The series drew over 4 million viewers with its premiere, which made it the network’s most watched telecast in three years. Hooray for comic-book tv shows. “Our strategy of rolling out our new fall schedule later in the year really paid off for The CW on several levels, especially with Arrow“, said CW president Mark Pedowitz. Congrats to everyone involved. No word yet on the network’s ‘Beauty and The Beast’ show of whether it will be made in to a full season or not. Now we just need an ‘Evil Ernie’ series and all will be right with the world. This entry was posted on Monday, October 22nd, 2012 at 3:59 pm	and is filed under Comics, News, Television. You can follow any responses to this entry through the RSS 2.0 feed. You can skip to the end and leave a response. Pinging is currently not allowed. « ‘Homeland’ Renewed for Third Season!! !